This is China Glaze How About a Tumble from the Kaleidoscope collection, China Glaze's first holographic polish set, which I've been told came out in 2006. 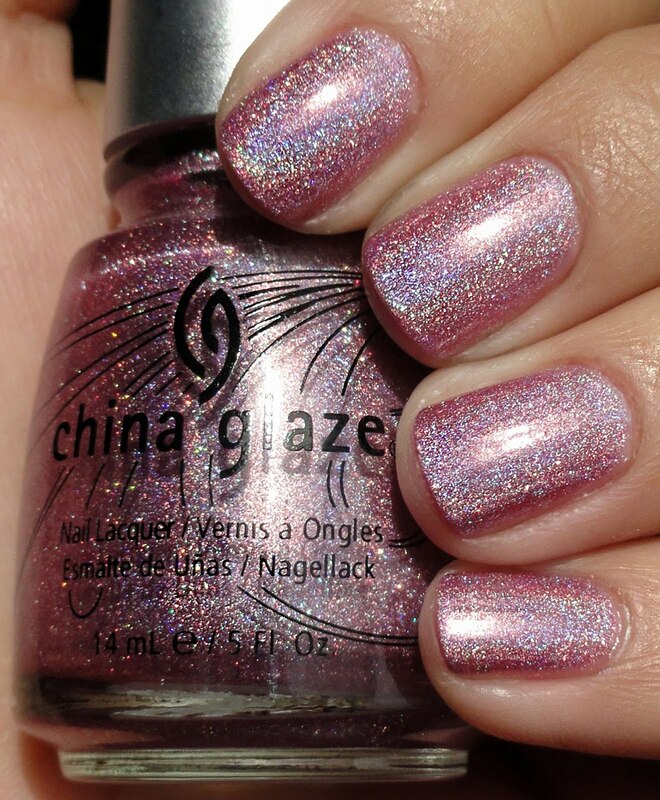 I love these, I love the pastel tones, I love the big scattered pieces of holo that reflect light beautifully. I love the grand flourish on the bottles too. It reminds me of eyelashes :) How About a Tumble is a lavender pink that covers in three coats.